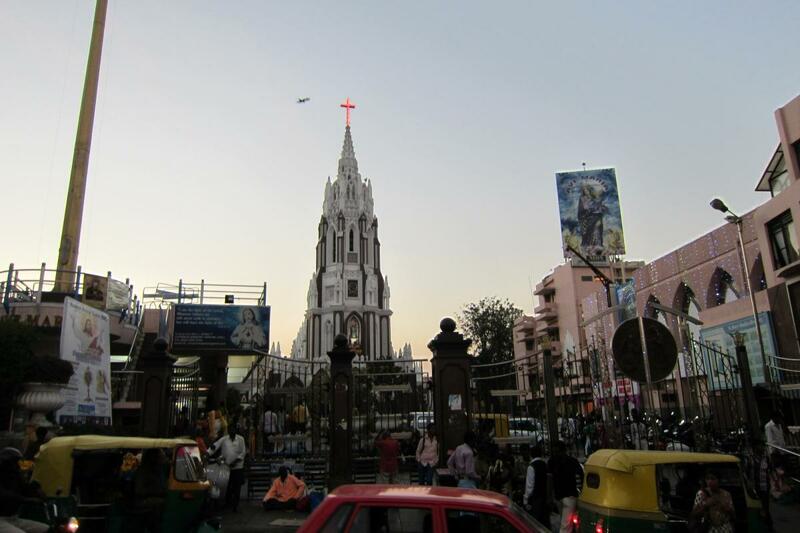 Our Lady of Good Health in Bangalore, India, is home to a celebrated feast of the Nativity of the Blessed Virgin Mary. The feast draws hundreds of thousands of people. On the feast day people with lighted candles and flowers come to pray to and thank Mary. In the evening, a chariot carrying the 6-foot statue of Mary, draped in a wonderful silk saree, with spectacular illuminations and decorations, is carried on the streets. Visitors to Our Lady of Good Health in Bengaluru said that they came for peace, and to pray for prosperity for themselves and for all. Our Lady of Velankanni, an enormous basilica shrine referred to by many Indians as the "Lourdes of the East," is said to draw millions of visitors a year, especially at Christmas and during the shrine's feast in the nine days leading up to September 8.